Provides controlled carry of four or six, 3", 12 gauge shells for fast, fumble-free reloads. 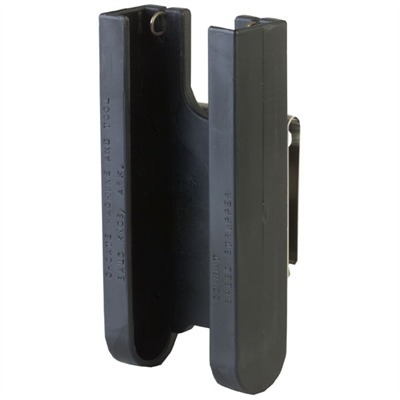 Clips to belt, allows spare rounds to be grasped without fumbling or dropping; reduces reload times. Spacers adapt for shorter rounds. SPECS: Plastic, black. Stainless steel belt clip. 5½" (14cm) long, 2-5/8" (6.6cm) wide. Fits belts up to 2¼" (5.7cm).